Creativity Prompt Everyday Hexagons blog hop and giveaway! Hey all! 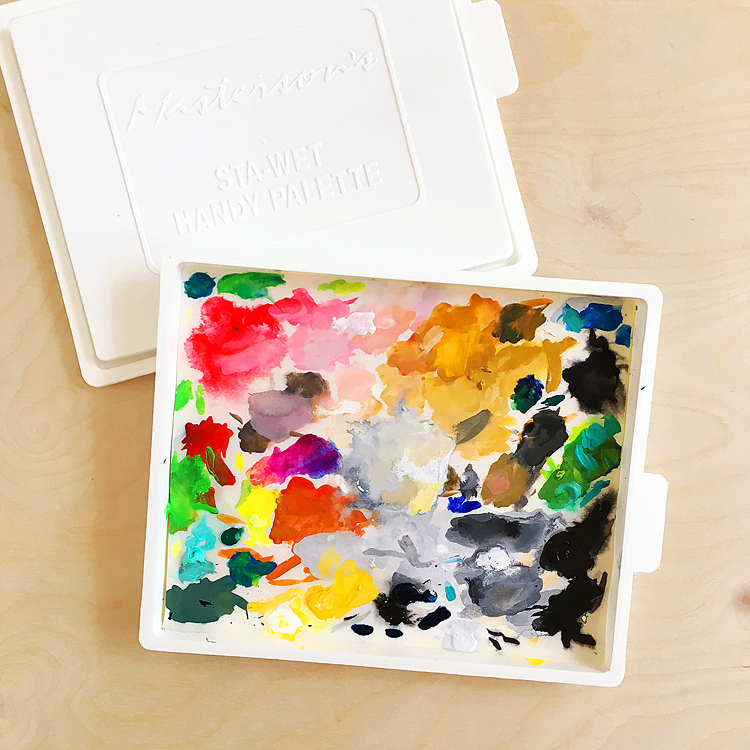 I am beyond excited and honored to join Avital of Creativity Prompt for a blog hop to celebrate the release of her own stamp line, with stamps made in the USA! Yay! 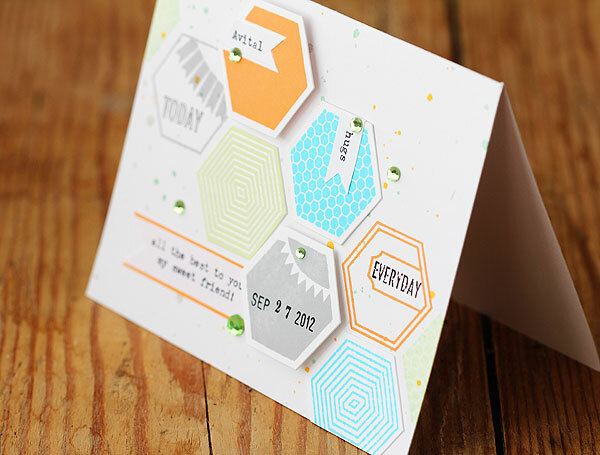 When she showed me the Everyday Hexagons stamp set I was even more excited — you see, I’m a goner for hexagons! 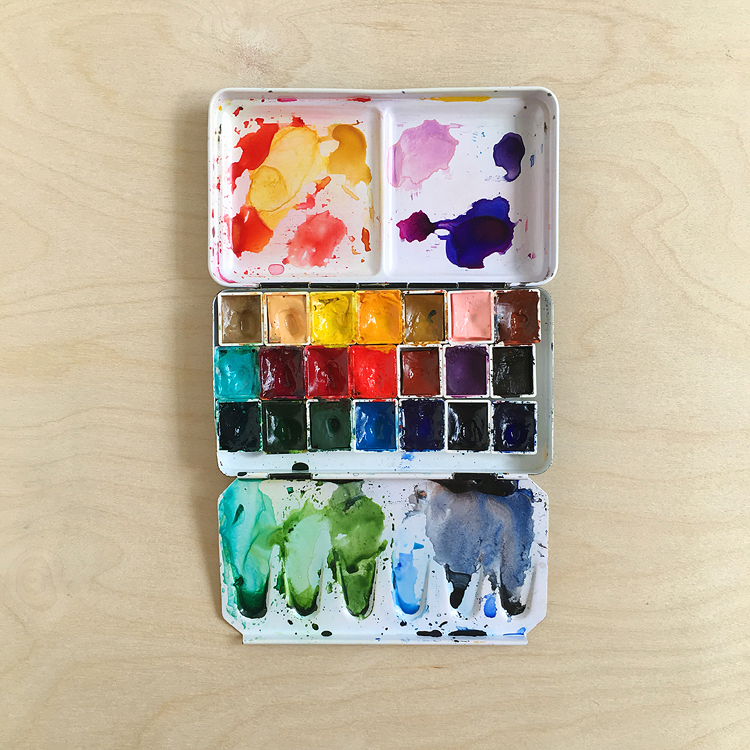 If you haven’t seen Avital’s blog yet, you should definately check it out! Lots of great stuff, she is so creative and so generous — she shares tons of creative ideas and even has free printables like this autumal stitched doily set — just love. 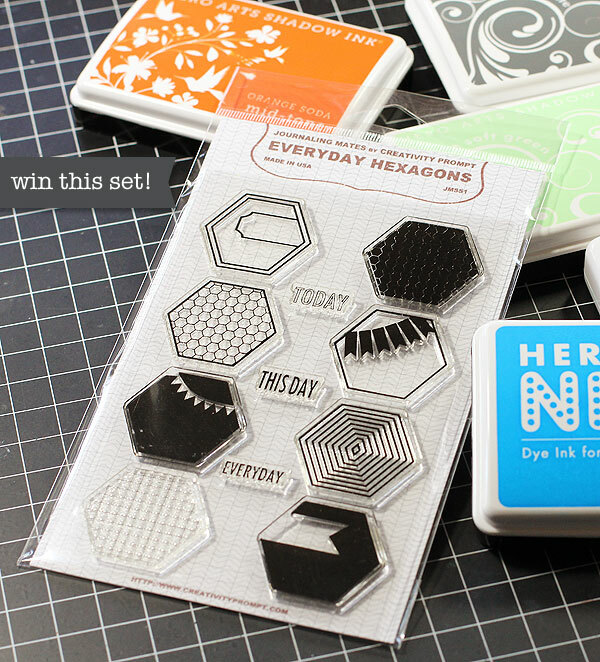 And, you can win one of the Everyday Hexagons stamp sets — more at the end of the post. But first, the card! I wanted to make a special card for Avital to celebrate the launch of her stamps, and I also wanted to try and use a new color scheme that I saw the other day too: neon blue, minty green, orange and gray. And I wanted to use my typewriter too. I really like how this came out, and I just wanted to keep stamping more and more hexagons and making more and more cards. They are quite addicting, HA! Love how the neon blue looks different in when the light changes — check it out in this shot from the side, it almost glows. And now, check out what the rest of the bloggers in the hop have done with this amazing set! Updated to add: The winner is Isabelle P.! Isabell, I emailed you. Thanks so much everyone! Inspired By: Studio Calico wood birds! Glittery, wobbly jack o’ lantern + video! Love your card, Lisa! This stamp set is awesome! Wishing you the best, Avital! The stamp set is totally adorable!! Oh my awesome!!! Good luck to her other new endeavour!! This stamp set is a must have!! This is a great set. The very best of luck. Good luck to Avital in her new business. This first set is great. Thanks for a chance to win. Congratulations to Avital on her new venture…. going by these stamps she is going to do wonderfully! Love the Hexagons and the card. Congrats on this new adventure Avital! 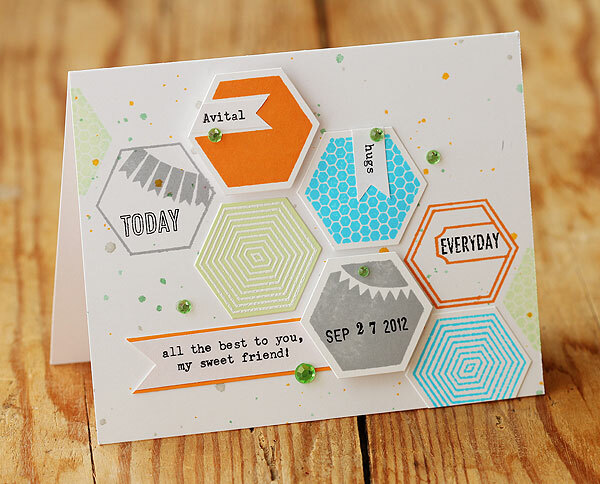 Love these hexagon stamps! I hope it’s not too late…I posted this blog hop on my FB page…Love it!!! I love these stamps! Thanks for sharing your card! Best wishes Avital on your new adventure! A – I love your first wonderful set of stamps and am definitely looking forward to more releases! Best of luck – and thanks for sharing a giveaway with us! Merci encore Lisa de m’avoir permis de gagner ces magnifiques tampons !